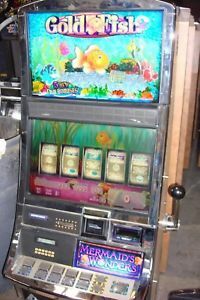 So have bought a reused slot machine and have brought it to your home or business and now don’t know what to do. Not to worry here at realslotmachinesforsale we also provide you guides to help you learn how slot machines work, how to repair your machine, types of machines you can find on sale, which popular machines are on sale online and liked by players and various other such interesting and useful posts. Here now find the steps to follow once you got hands on slot machine to ensure that your machine works properly and all smooth. 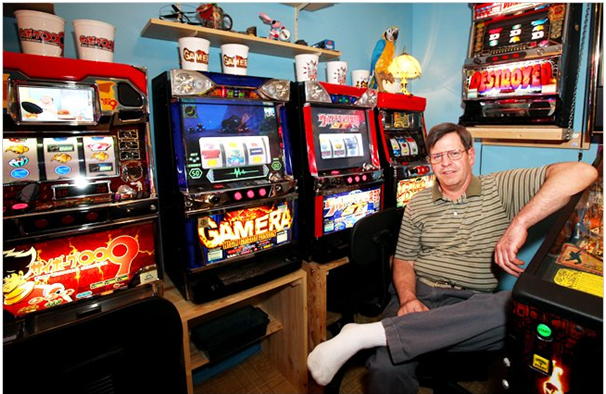 Once you have bought the slot machine it’s time to decide where to install or keep your slot machine. Therefore before you place the order to buy slot machine mention the address where you want the machine to work, be it your home or office. It is important to keep in mind your slot machine runs on a normal household 120 Volt AC grounded outlet. For safety, try to find a location where an extension cord is not required. It is important to remember the slot machine weighs approximately 225 lbs. It is crucial that if you have not purchased a slot machine stand, to place the machine on something not only capable of holding the weight, but something that will not allow the machine to tip over while being played. Therefore it’s useful if you buy a stand also or arrange something to hold on the machine. Now that you have your slot machine in place, it is absolutely necessary to allow the slot machine to adjust to a normal room temperature of greater than 60 degrees and less than 90 degrees. If you live in a cold climate and your machine has just arrived, put the machine in your desired location and then open the machine door to allow the interior of the machine to warm up. This usually requires several hours. Plugging the machine in right away and turning it on may result in damaged electronics and may void your warranty. For shipping purposes the hopper may contain the top candle wrapped in bubble wrap that must be installed on the top of the machine. However on certain sized slot machines, the top candle will be removed to prevent damage during shipment. Also note the power cord will be either in the hopper or directly behind it. Often it is necessary to move the machine toward the edge of the stand or platform to feed the cord through, and then move it back in place. Again caution should be taken not to allow the machine to tip over when moving it toward the edge of any stand or platform. The power cord plugs into the right side of the Power Distribution Unit located on the back wall of the slot machine. Always plug the end of the power cord into the Power Distribution Unit (PDU) BEFORE plugging the machine into any electrical outlet. Make sure the cord is plugged in firmly to the Power Distribution Unit and the power cord is fed out of the machine. As with any electronic device, it is highly recommend you plug the power cord into a surge protector prior to plugging into an electrical outlet. Note on many IGT S2000 slot machines, once the machine is plugged in, a service light will illuminate in the back of the machine. This is normal and does not indicate the main power switch has been turned on. It is now time to fill the hopper with coins or tokens. The type coin or token must match the denomination the machine has been set up for. You cannot use nickels in a quarter machines nor can you use quarters in nickel machines without modifications to the machine. The machine will not work and may cause serious coin jams to occur if the wrong coin or token type is used. Fill the hopper with at least 500 correct type coins or tokens. Now your slot machine is ready to use.